This entry is part 6 of 13 in the series Magento 2 UI Components. Earlier posts include Magento 2: Introducing UI Components, Magento 2: Simplest UI Component, Magento 2: Simplest UI Knockout Component, Magento 2: Simplest XSD Valid UI Component, and Magento 2: ES6 Template Literals. Later posts include Magento 2: UI Component Data Sources, Magento 2: UI Component Retrospective, Observables, uiElement Objects, and Variable Tracking, Magento 2: uiElement Features and Checkout Application, Magento 2: Remaining uiElement Defaults, Magento 2: Knockout.js Template Primer, and Magento 2 UI Component Code Generation. Our last article covered Magento’s implementation of ES6 template literals. Near its end, we started to bump up against some features (the defaults array) of Magento’s UI Component focused classical-style object system. Before we can get to UI Component data sources, we’ll need to slog through a few more object system features. Magento uses Knockout.js to render front end interfaces. Magento added a custom Knockout.js binding named scope. Scope allows different areas of the page to use different view models. These different view models are instantiated by the Magento_Ui/js/core/app RequireJS module. This module is embedded in the page via an x-magento-init script, and this module uses a large data structure rendered via the backend’s UI Component classes and XML. This data structure configures a number of RequireJS modules called “components”. These components are “view model constructor factories”. The Magento_Ui/js/core/app application uses these RequireJS components to create view model constructors, and then uses the instantiated view model constructor function to instantiate view models. Finally, the Magento_Ui/js/core/app application registers each instantiated view model object, (by name), with the uiRegistry RequireJS module. The view model’s registered names come from the large data structure rendered via the backend’s UI Component classes and XML. Above, we mentioned the uiRegistry, uiClass, and uiElement RequireJS modules. These are RequireJS “map aliases” that point to the real modules at Magento_Ui/js/lib/registry/registry, Magento_Ui/js/lib/core/class, and Magento_Ui/js/lib/core/element/element respectively. Today we’re going to look at some features of the uiElement based objects. rather than using constructor functions. The Knockout.js framework’s view models are based on end-user-programers creating view model constructor functions, and Magento’s object system follows that lead. At this point, we now have a uiElement object that’s ready to use as a simple view model. This object also has a number of default properties and methods that Magento’s Knockout.js scope binding parameter, as well as the uiRegistry, expect to find. We’ve already discussed the defaults array in previous articles, but it’s worth reviewing. It’s sort of like saying the following in PHP. In addition to setting defaults values in your constructor, you can also set properties at instantiation time. Consider the following program. Here we’ve set a default message to Hello World. However, at instantiation time we’ve passed in a new object literal as a parameter. Magento will use this object to set data properties on the newly instantiated object — overriding any defaults set via the constructor function. We’ve reviewed defaults because the last two features we’ll explore today are similar, in that they related to setting property values on Magento’s uiElement view model objects at instantiation time. 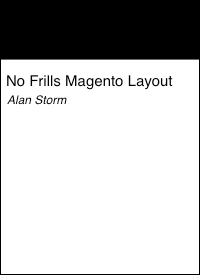 fetches the data source view model, which contains the row data Magento’s grid component needs to render. The instantiation and registration of these view models happens in the Magento_Ui/js/core/app module. While this instantiation is beyond the scope of today’s article, behind the scenes Magento’s running code that looks something like this. That is, Magento uses the configured component (or “view model constructor factory” — Magento_Ui/js/form/components/html above) to fetch a view model constructor, uses that view model constructor to instantiate an object, and then registers that object in the registry. The actual code is, of course, much more complicated, and involves many of the rendered data properties from the ui_component XML. That said, at its heart, view model registration is as simple as the above two line RequireJS program. The uiRegistry ties in heavily to the features of the uiElement objects we’re exploring today. The imports feature of Magento 2’s object system allows you to, at the time of instantiation, link a property on your instantiated object with a property in a registered uiRegistry object. Remember our code from above? With the import feature, we can ensure our objects are linked to the customer_listing.customer_listing_datasource object’s data.items row, giving our object access to the grid component’s data. Let’s give it a try. Run the above program, and you’ll see our instantiated object now contains an ourLinkedRows property, and that property contains the data source’s data object. The imports property of the defaults object is an object of key/value pairs. The key (ourLinkedRows above) is the property of your instantiated object that you want to populate with data. The value (customer_listing.customer_listing_data_source:data.items above) is a special string that Magento will use to pull data out of the registry. The string is colon (:) separated. The left side of the string (customer_listing.customer_listing_data_source) is the registry key, and the right side of the string (data.items) is the data property. Using imports, you can give your viewModel easy access to any data currently in the uiRegistry, which means (in turn) your Knockout view can have access to any data from the entire UI Component tree. has a key of message, and value of customer_listing.customer_listing_data_source:theMessagePropertyFromExport. With this exports configuration, when our object is instantiated, the uiElement system will look at the message property of the instantiated object, and link it with the theMessagePropertyFromExport property of the uiRegistry object registered to the key customer_listing.customer_listing_data_source. In other words, the exports feature allows you modify objects that already exist in the uiRegistry. The imports and exports features are interesting ones. On the server side, Magento’s core engineering teams seem — obsessed? — with using Gang of Four style design patterns to thinly slice any possible dependency an object may have. However, on the client side, Magento’s core team have built an entire object system that has a huge glaring dependency (the uiRegistry) baked right into their classes, and imports and exports seem like dependency factories. Right or wrong, it’s easy to see why real certified Engineers roll their eyes whenever programmers call themselves Software Engineers.